On sweltering and humid days in Lake Buena Vista, Florida, it’s comforting to know you can always count on the AC service Lake Buena Vista depends on to keep your home or business a cool and refreshing place to be. Stepping into a blissfully cool room after time spent in the sun is one of the pleasures in life that people look forward to. If something goes awry with your AC system, it’s nice to know you have the expert AC repair Lake Buena Vista trusts to get your system back to top-notch working order, delivered by the pros from DC / AC Air Conditioning and Heating. When you need AC repair in Lake Buena Vista Florida, you can rest assured that we’re local and easy to find with just a few clicks or a quick search. In some cases, we’ve been serving area homes and businesses for decades, and satisfied folks are happy to recommend DC / AC Air Conditioning and Heating to their friends and neighbors. 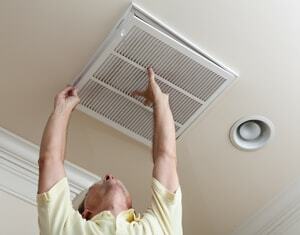 There are real benefits to using a local AC repair company. With a local company you receive individualized attention and care delivered by experts. We live here, too, and we’re familiar with the things that have affected the area like oppressive heat, high humidity, extremely damp and wet conditions and other factors that can affect how well your AC system runs. You’ll see a real difference when the service you receive is not delivered in a one-size-fits-all way. We’re happy to personalize a calendar for you of periodic system checks and we work with your schedule to set up times that work best for you. At DC / AC Air and Heat, we pride ourselves on bringing the affordable AC repair Lake Buena Vista needs directly to our local friends and neighbors quickly and efficiently. 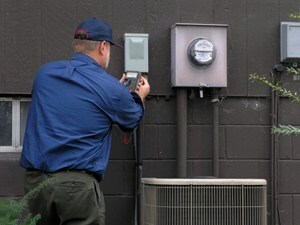 We begin with the free AC repair estimate Lake Buena Vista customers can trust to be accurate and fair. DC / AC Air Conditioning and Heating also believes that the AC repair costs Lake Buena Vista customers are charged should be fair and competitive. 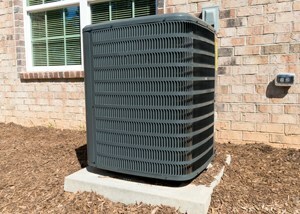 We continue with educating our customers and giving advice on ways to save money by using your AC system in the most efficient way. In fact, we believe you’ll be pleasantly surprised at how efficient the newest systems are if you should need to have one installed. We know that many people today are attuned to using energy wisely and are focused on leaving as little of a carbon footprint as possible in the process. Today’s new AC and heating systems are more energy-efficient, reliable, cost-efficient and eco-friendly than ever before. Knowing that your air conditioning system is not only effective to keep your home or business cool, but that by using it you’re also being friendly to the environment, that’s also a bonus. As a side benefit, you may even notice a decrease in your energy bill when you’re using a cutting-edge system that runs better with less energy consumption. Informing you about and installing brand new AC systems are just a small part of the total service package offered by the AC service Lake Buena Vista trusts and depends on. DC / AC Air Conditioning and Heating also proudly supplies the AC repair Lake Buena Vista relies on and recommends to friends and neighbors. 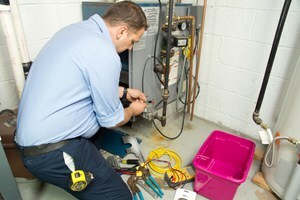 Your 100 percent satisfaction with the Lake Buena Vista AC repair and service you receive is always our goal.